← How Can Digital Humanitarians Best Organize for Disaster Response? This entry was posted in Digital Activism, Disaster Resilience, Social Media and tagged Capital, Disaster, Disaster Resilience, Networks, Recovery, Response, social. Bookmark the permalink. another excellent illuminating post, patrick. much appreciation from here. For people in the disaster response world, I think (hope?) this has always been common knowledge. For example in the US it’s often local churches and neighborhoods in the lead, checking on people, sharing resources, managing local distribution spots etc. FEMA and the big orgs don’t have the local social capital to do those things well, so they focus on other things like grant and loan administration and bigger contracting – disaster-specific resources or expertise that communities are less likely to have on their own. This complement is a good thing, in my mind. 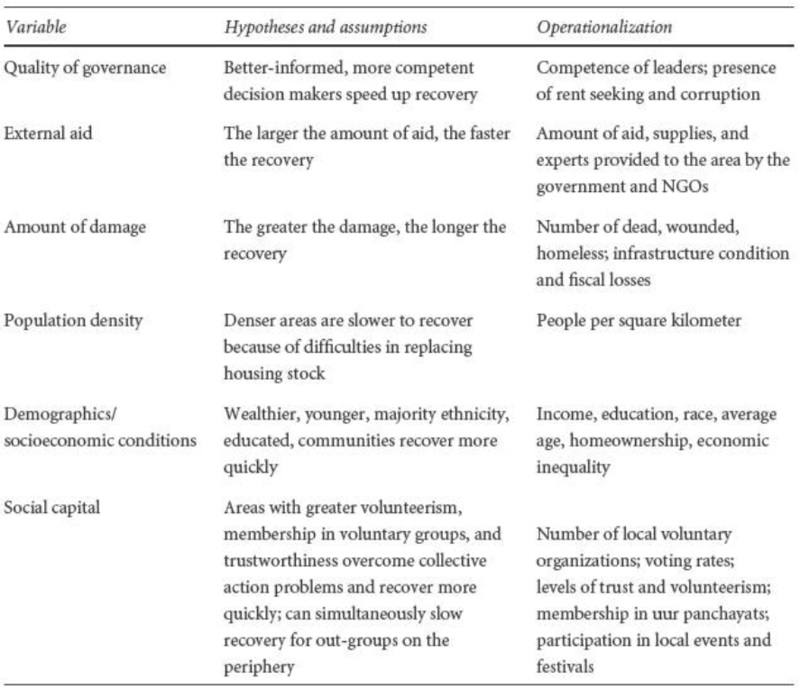 I wonder if the pressure to ‘professionalize’ the humanitarian sector has contributed to people unconsciously putting more emphasis/value on institutions/NGOs/’official’ channels and the resources they bring as opposed to current and potential social networks. 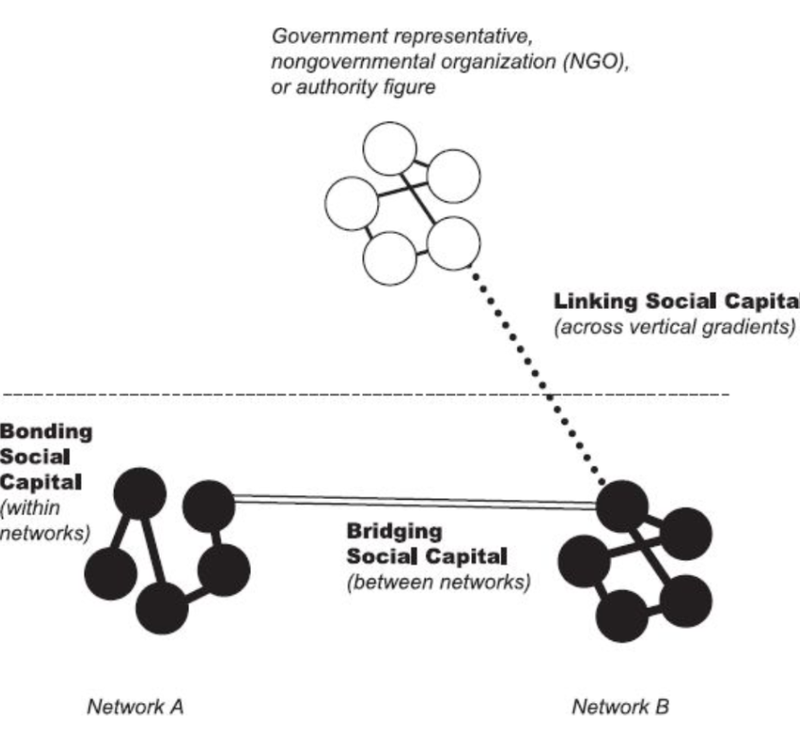 Working with a young NGO without a pre-existing organizational presence in the countries where we responded (abroad and in the US), my assessment/program design process was as much about identifying those local ambassadors and bridges, be they community individuals or groups, along with more standard NGO assessments. Funders aren’t much interested in social capital in proposals or in results though – success is tied to data, facts, and figures. The notion of social network connectedness as an indicator of vulnerability is a very interesting one. Being able to assign some kind of visible measurement to it would bring it back into the consciousness of planners and do-ers, aid workers and the public alike. Many thanks, David and Stefanie. A thousand apologies for my delay in replying. End of year deadlines got me distracted but I’m slowly starting to catch up on blogging and comments. @Stefanie, many thanks for sharing your thoughts. I think your point about professionalization is very interesting. I would certainly want to read a study on this. Thanks again for sharing.